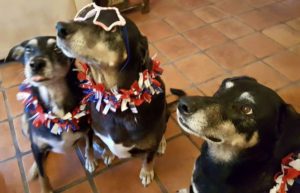 Protect Animals and Voters Rights on July Fourth! Animals need your help on Independence Day! Would you be willing to spare an hour to help protect animals and voter rights? 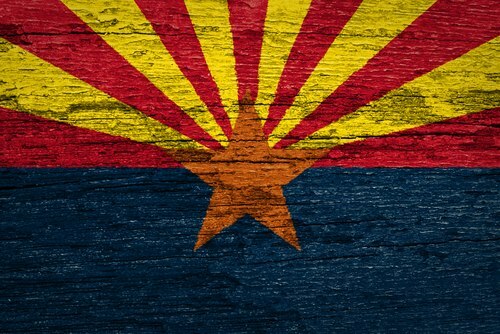 The Voters of Arizona referendum campaign urgently needs volunteers to collect petition signatures to stop two bills damaging to animals and citizen initiative rights. The deadline to turn in petitions is less than six weeks away! On July 4th weekend volunteers across the state will gather signatures to defend animals and voter rights. We will be posting photos submitted by volunteers on ADLA’s social media sites. If you can help we will find an event near you and provide everything you need to succeed – we just need your time! Please email adla@adlaz.org to sign up. Or you can simply take petitions to your own event and collect signatures from family and friends (as long as they are registered to vote in Arizona). Either way, we will coach you through the process! If you’re not available during the holiday weekend but want to help, please let us know. The volunteer campaign will continue until we reach our goal. Arizona’s citizen initiative process is our most important tool for protecting animals. Thanks to citizen initiatives, Arizona voters banned traps and poisons on public land in 1994. Voters outlawed cockfighting in 1998, and in 2006 voters prohibited the inhumane confinement of pregnant pigs and calves raised for veal. HB 2404 limits how hired petition circulators are paid, making it even more costly and difficult for grassroots groups to get a measure on the ballot. HB 2244 changes our current standard of ‘substantial compliance’ for initiatives to ‘strict compliance’, which could cause many perfectly valid signatures to be tossed out for even the smallest technical mistake, such as using the wrong margin size. In response, the Voters of Arizona committee launched a referendum campaign to refer HB 2404 and HB 2244 to Arizona voters on the 2018 ballot and to prevent them from going into effect until voters have their say. Former Attorney General Grant Woods and former Phoenix Mayor Paul Johnson are chairing the committee, which needs to gather and submit at least 75,321 voter signatures by August 9th in order to qualify for the 2018 ballot. Click here for more information on anti-initiative bills and referendum campaign.